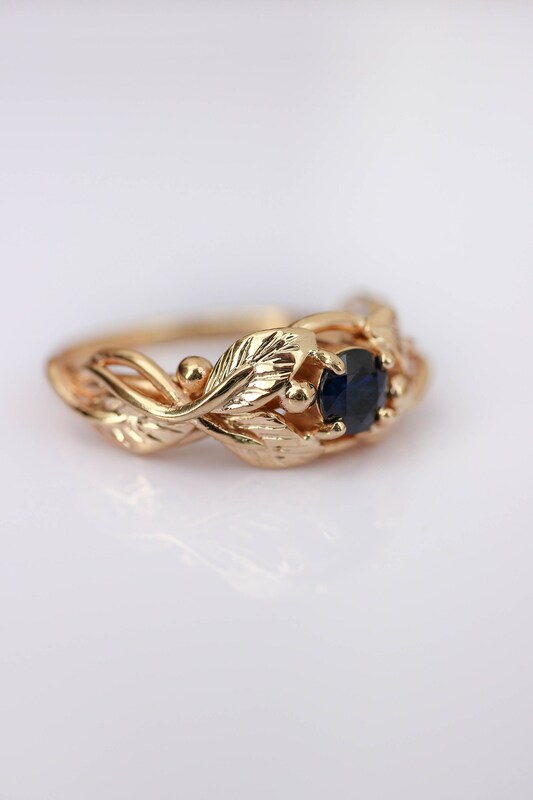 Unique engagement ring is sculpted from solid 14K yellow gold and adorned with natural 4.5 mm sapphire. 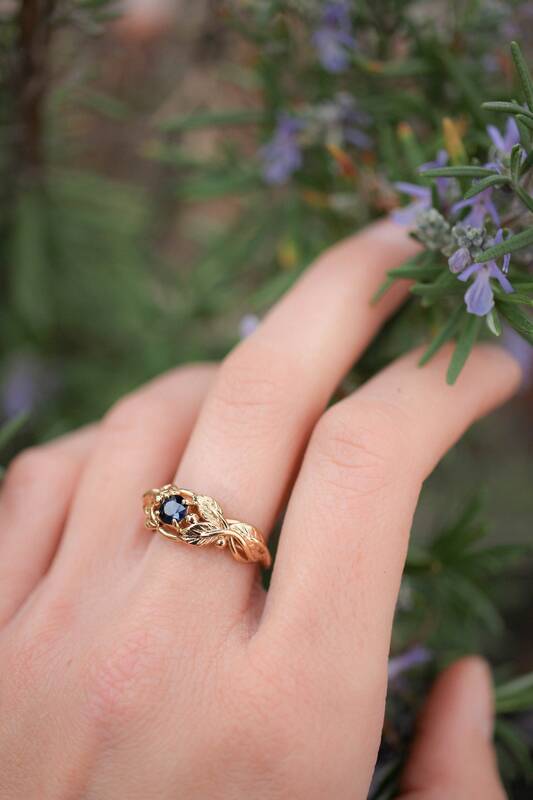 Sapphire engagement ring features botanical design with detailed leaves wrapped around gemstone. Weight for 14K size 7: about 2,5 grams. 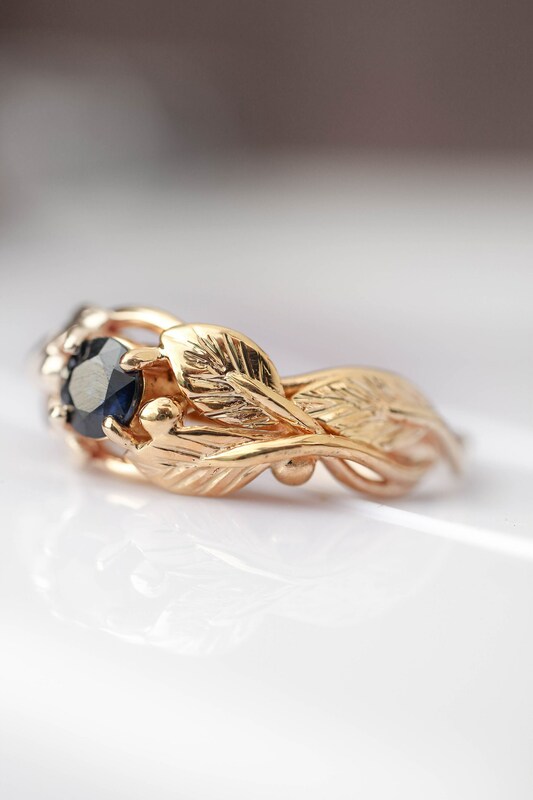 14K yellow gold ring comes in elegant black box and is ready to give. 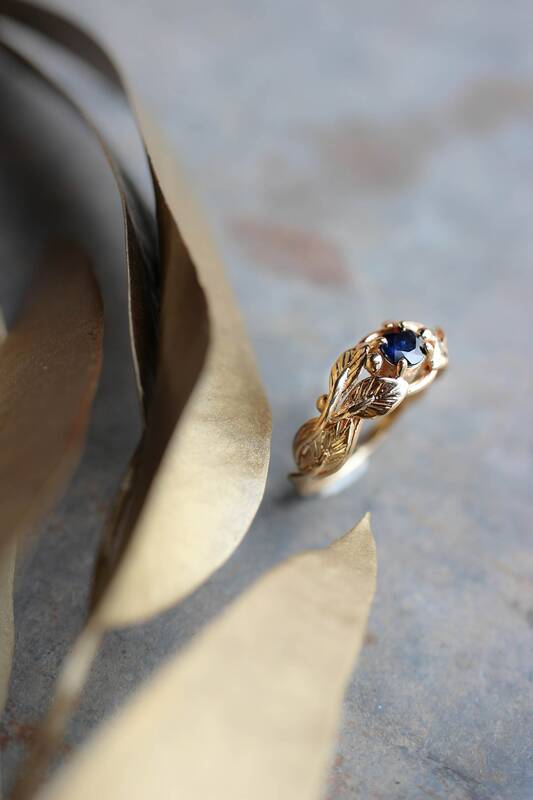 The ring looks stunning! It is exactly what I expected. 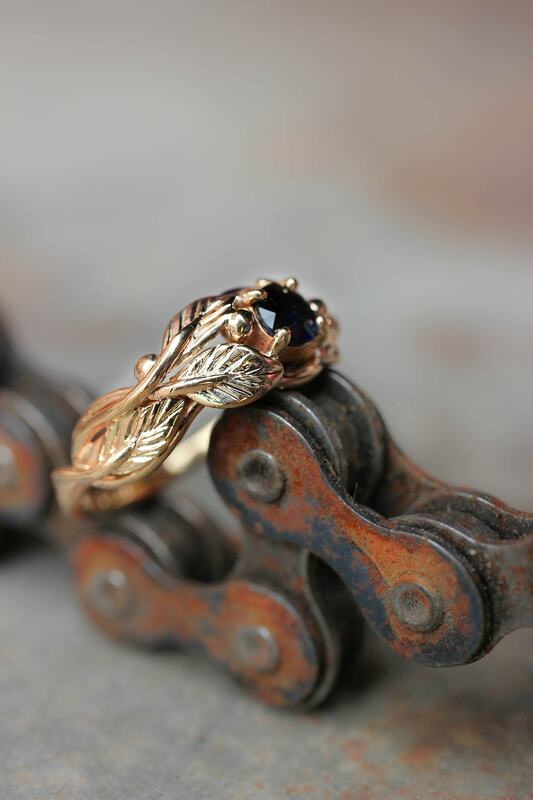 The service of Eden Garden Jewelry was great. 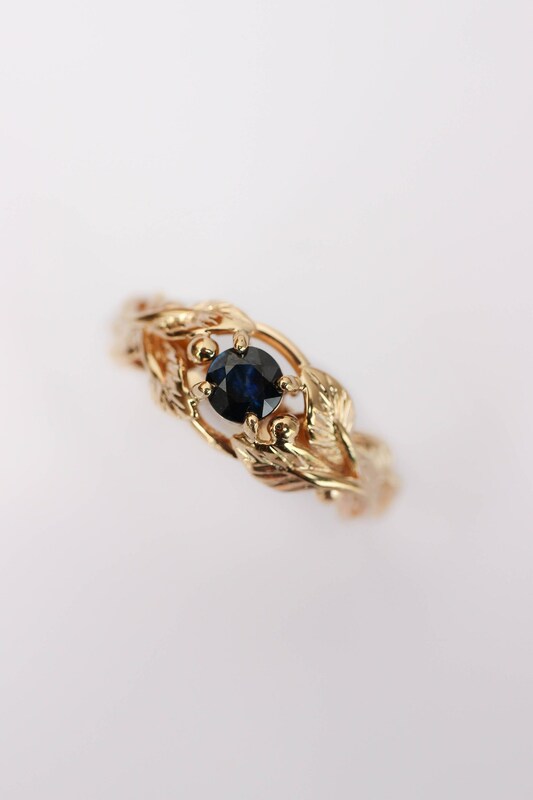 I wanted to have another stone than they used in the original design and it was no problem. 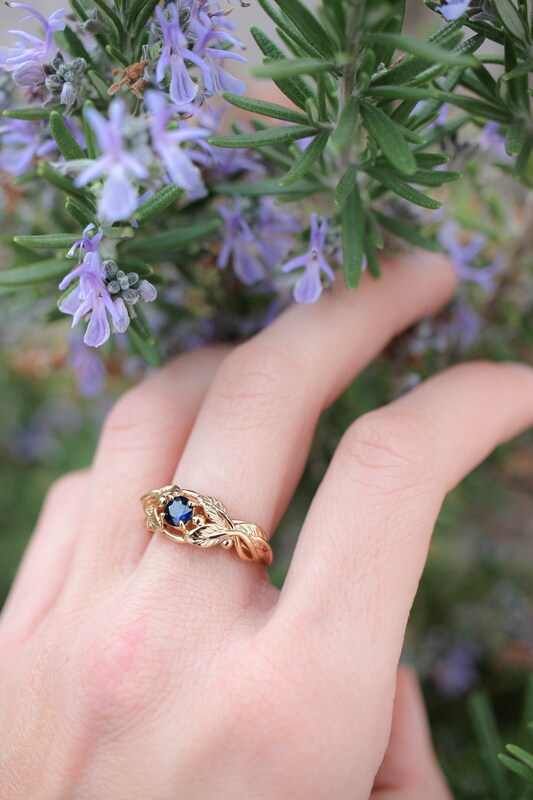 They worked fast and the ring arrived in time! 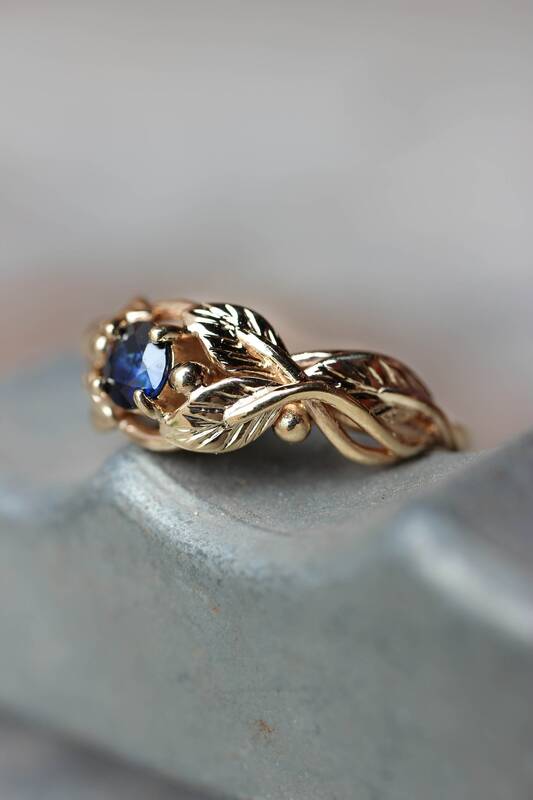 My fiancee said yes and she loves the ring. I'm so happy that found this exquisite shop, this is exactly what I was looking for. Pleasant and prompt communication, amazingly detailed craftsmanship and unique design in this small masterpiece. 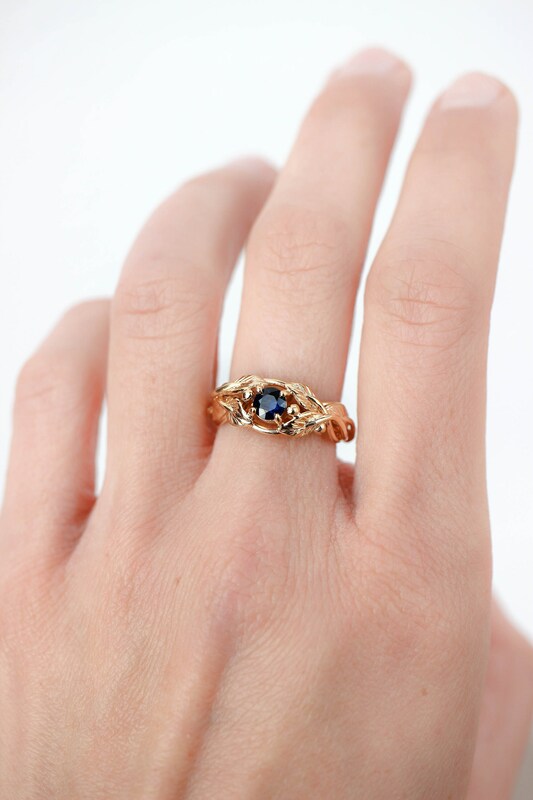 Can't thank enough these people for patience during my requests to customize the ring. I had many questions and they always answered quickly and made my fantasies come true. 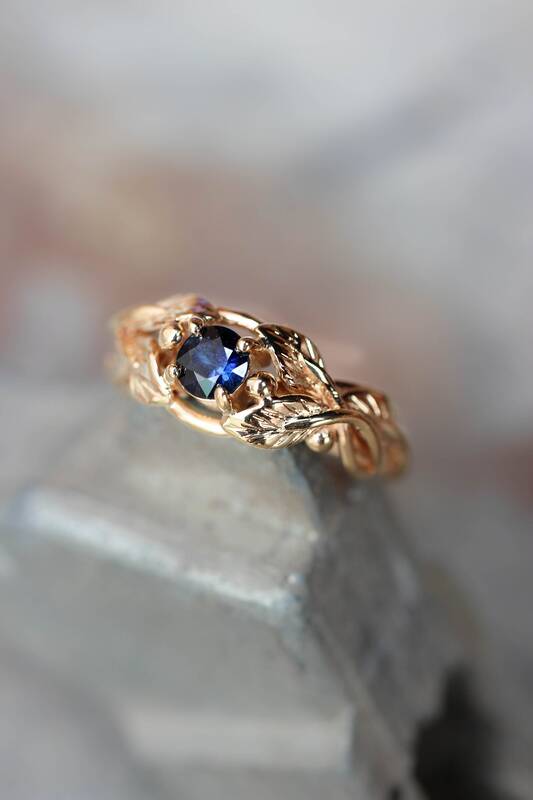 My girlfriend is very happy with this sapphire ring and I think we'll be back for other jewelry soon! Every penny I spent was worth it.